Off-season? What do you mean? When you follow an athletic program like the University of Louisville, there is ALWAYS something going on and news to talk about. Such is the case recently. We will try to get you caught up on all of that right here with our news & notes about different teams of the program, alumni doing big things, and just any other news worth sharing. Enjoy! *We have been busy lately landing interviews with basketball and football recruits. Our most recent ones have been with Jeff Badet (football), Troy Williams (basketball), and Reggie Bonnafon (football). Make sure you check those out. And for the rest of our recruit interviews we have done, just click here. Get caught up now, because more are coming soon! *If you want to see 2013 UofL QB commit Kyle Bolin play this season, you will have a couple of chances, and you don’t even have to travel to Lexington! Click here to find out how. Also, remember that Bolin will be doing a Senior Year blog this season for Cardinal Sports Zone. We have briefly mentioned that, and will give you more details as the season gets closer. But don’t forget about that, as it is a CSZ exclusive! *Terrence Jennings has been added to the Philadelphia 76ers summer league roster. They will compete in a five-day league from July 9-13 in the Orlando Pro Summer League. *Edgar Sosa was recently added to the Sacramento Kings summer league roster. They will play a five-game schedule from July 13-19 in Las Vegas, NV. 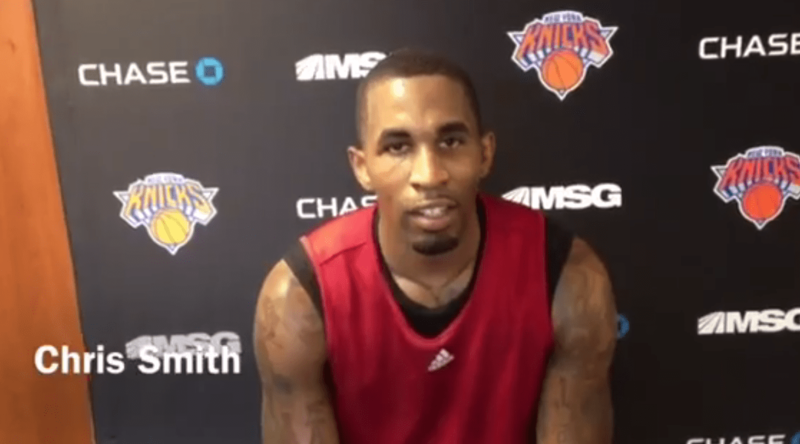 *Chris Smith will play for the New York Knicks summer league team. Their league runs from July 14-20 and will also be in Las Vegas, NV. *On Friday evening, the Dominican Republic defeated FYR Macedonia to advance to one game from an Olympic berth. Francisco Garcia scored 28 points and was 4-7 from three-point range. Their next game is Saturday afternoon and they will play for 1 of 2 automatic Olympic berths. *UofL class of 2013 commit Anton Gill has moved up to #27 in the latest Scout Rankings. *Class of 2014 commit Quentin Snider (Ballard) is ranked 25th in his class in the Scout Rankings. *According to Charlie Strong’s twitter account, UofL Quarterback Teddy Bridgewater has been named to the Maxwell Award Watch List. That award is presented annually to the College Player of the Year. *Former UofL football wide receiver Tiger Jones (2000-04) has been invited to attend training camp for the Philadelphia Eagles. Jones has been playing in the Arena Football League for the Philadelphia Soul. *The Cardinals will send 4 swimmers to the 2012 Summer Olympics in London later this month. Joao De Lucca (Brazil), Carlos Almeida and Pedro Oliveira (Portugal), and Eszter Povazsay (Hungary) will all swim for their respective countries. But they will still be representing the Cards! *NCAA Baseball’s Cap Cod Summer League features 9 players from UofL, more than any other school in the country. Nick Burdi, Alex Chittenden, Adam Engel, and Dace Kime are all with the Chatham Anglers. Joe Filomeno, Jared Ruxer, and Cole Sturgeon are with the Wareham Gatemen. Then Chad Green and Jeff Thompson are with the Bourne Braves. *UofL’s softball staff was named the Great Lakes Region Coaching Staff of the Year by the National Fastpitch Coaches Association. The staff is made up of Sandy Pearsall (head coach), Carol Bruggeman (associate head coach), Courtney Scott (assistant coach), Lacy Wood (volunteer assistant), and Lisa Pinkston (director of operations). The Cards finished the season with an amazing 55-5 record overall!